The Lansdowne Hotel has been part of the landscape of Chippendale since the era of the Great Depression. It always had a deep connection to the live music scene in the area. In its heyday, The Lansdowne was where bands like Mudhoney cut their teeth. When the property went into receivership in 2015, many thought it would be the last time live bands would ever be heard from its stage again. It was believed the door of The Lansdowne would have closed for the final time on all the history and stories it kept of the patrons that walked through her doors. Luckily, two investors rescued the venue from the jaws of obscurity and re-opened the property in June of 2017. They swapped out cheesy pub decor for plush enhancements reminiscent of an American grunge club. The owners have also continued the tradition of having The Lansdowne be the launching pad for indie bands on their way to stardom. Nearly every day features a gig with a hot up-and-comer either launching a new single or a new album. The Lansdowne offers a simple menu of $16 cocktails and great wine while having a range of domestic, international and craft beer on tap. A selection of Detriot-style pizzas tops the food menu along with burgers and chicken wing snacks all priced $20 and under. 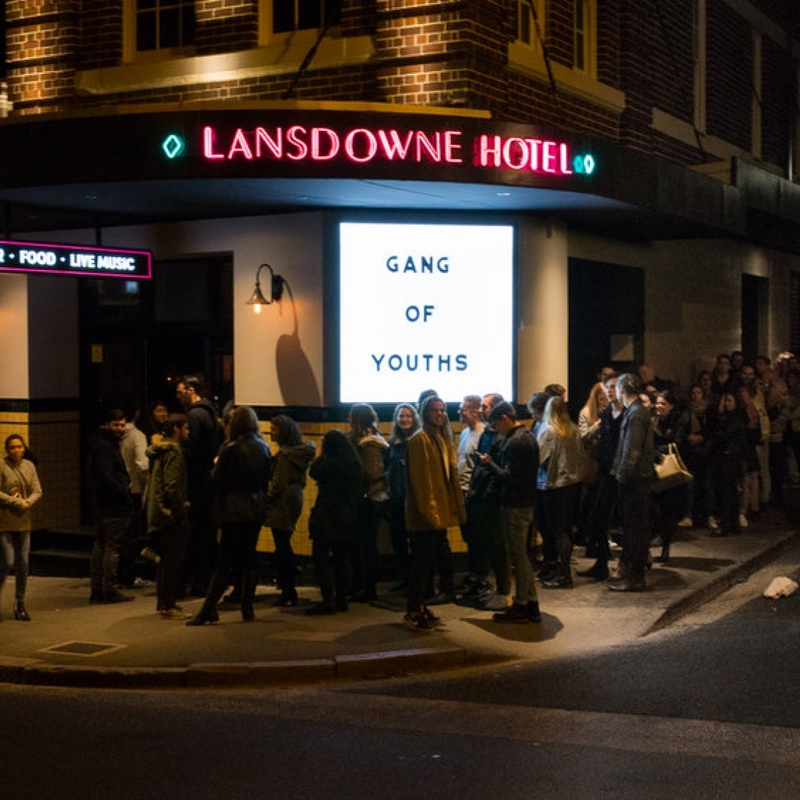 If you're in search of a late night or want to continue the party after the lockout laws try to force you to your bed, the Landsdown may be your spot as its location allows it to stay open until 3 am. There are about two dozen routes that stop at the Boardway shopping centre. The Lansdowne is a one-minute walk away. If travelling by train, The Lansdowne is a 15-minute walk from Redfern or Central Station.